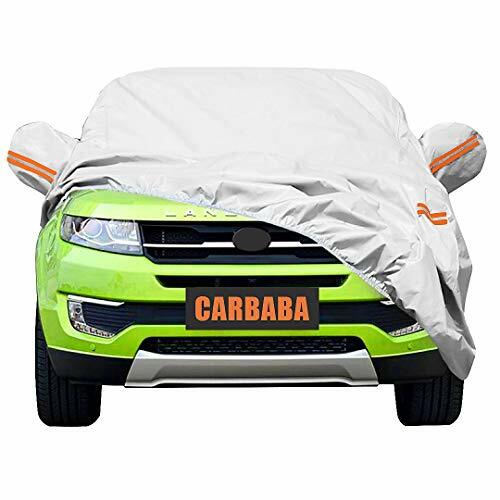 If you’re looking for SUV car cover for your Sport-Utility vehicle (SUV), you came to the right place! 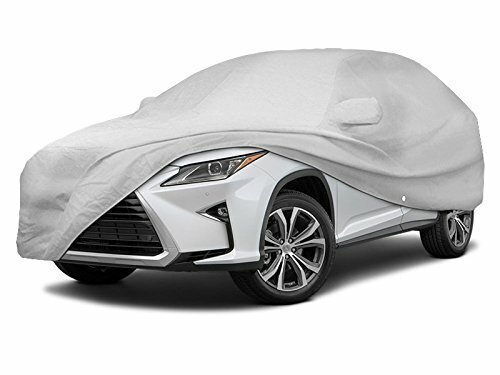 We’ll be exploring the best SUV covers in this post. Now, auto detailing can give you ample protection for your SUV. But if you want to keep your exterior safe, an auto cover can do the job better. That’s why an SUV car cover is a must-have! While you can buy universal-fit car covers, there’s a huge difference between a sedan and an SUV. You can’t really expect a sedan cover to fit your big car perfectly. A car cover is a great help in increasing the defense that your vehicle’s body needs. It’s also a durable, portable, and inexpensive choice. Not to mention that it’s so easy to use, as well! Also, if you want to learn more about the different car covers you can get and their benefits, head on over to these articles – Best Car Covers. Plus, some car covers are made for more special purposes. You can even use these types for your windows and dashboards! 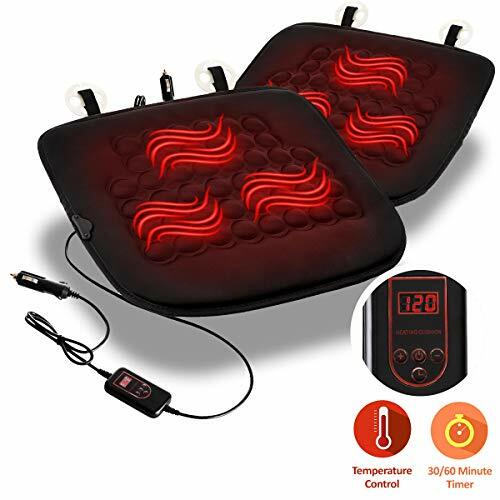 Head over to these articles for more info – Car Window Covers and Car Dashboard Covers for more information. A car cover can serve as a protective barrier against harmful pollutants such as the sun’s UV rays and acid rain. It can also protect your car from other harsh weather like a storm, snow, ice and more. Not only that, but most car covers are also resistant to dust, dirt, and droppings so you can keep your vehicle’s surface safe from scratch. 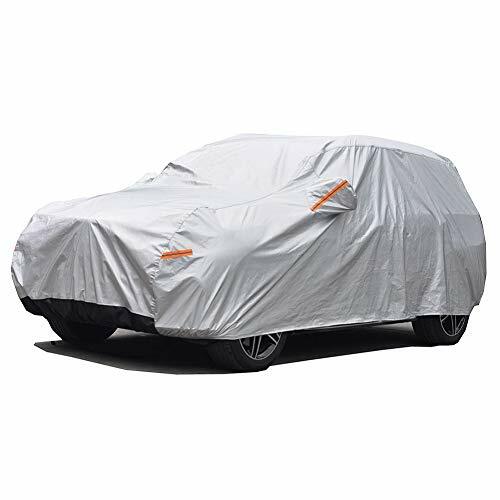 Most covers, like the Rain-X car cover, are made with a breathable fabric that can withstand both hot and cold weather. You can also avail custom-fit covers to ensure that they shield your full exterior. The best sedan and SUV car covers are made out of quality breathable material that can effectively secure and protect your car. Now that you know that there are many different types of covers, it might get a bit intimidating and/or confusing to choose. If you’re only getting started, you might want to try getting one according to your car’s model first. It won’t matter if you get the best all weather car cover if it doesn’t fit your vehicle at all! This Kayme car cover is an excellent choice if you want to get one for your SUV. Sure, it’s not custom-fit, but this cover still comes in various sizes. Just pick the one that’ll cover your car the most! Aside from sizing, this cover is also a great full exterior cover because of its design. It is made up of four strong layers. The first and third layers are made from a type of PE material that doesn’t let water in whatsoever. So you can keep your car 100% waterproof. The second layer is made from Aluminum which is known for being quite effective against sun damage. UV rays, oxidation, and photodegradation won’t be a problem for you. The last layer is made up from a soft cotton fabric which allows it to glide smoothly on your auto’s surface. You won’t need to worry about this cover scratching your paint. This weather-proof cover also has straps at its front and rear ends to keep it tight and secure. No matter how windy it gets, this cover will stay on top of your vehicle. It also has a useful reflective strip which allows everyone to see your parked car even during nighttime. 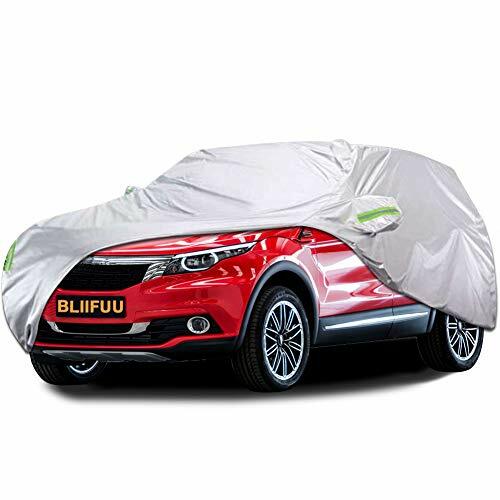 Another excellent car cover that can fit SUVs is this one from GUNHYI. 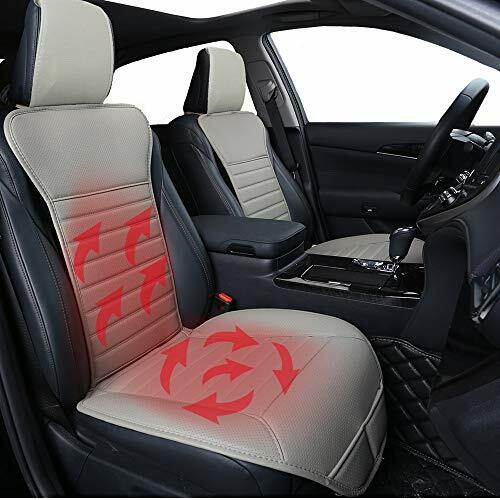 It is also made up of four durable layers that can efficiently and effectively defend your car from different weather situations. Its design follows a ‘PE – Aluminum – PE – Cotton‘ format wherein the cotton layer is the part that will touch your car’s paint. As you well know by now, cotton is gentle on paintwork. The other quality materials used in this cover make it great at protecting against UV, sun, storm and it’s waterproof. But not only that, since this cover was made from top-quality materials, it can also defend against pesky pollutants like dust and bird droppings as well as seasonal ones like ice. It features handy wind-proof straps both in the rear and front ends of your vehicle, so you don’t need to worry about your cover flying away during a bad storm. Also, if you’re looking for specific car covers for cars like the BMW, check out this BMW Car Cover post. Due to their fantastic durability, inexpensive prices, and indispensable features, car covers make for a great investment. You can even choose whether you want the best indoor or the best outdoor car covers. It all depends on your specific needs. An outdoor car cover is definitely essential if you don’t have a covered parking area. It can ensure better defense against scratches and weather damage, after all. An outdoor cover can also deter thieves from stealing your car. It’s far harder to run away with a covered vehicle than one parked out in the open. Of course, depending on how quickly you need it, you can also order your covers according to car size. A universal car cover is a one-size-fits-all type (which means it doesn’t actually fit perfectly). 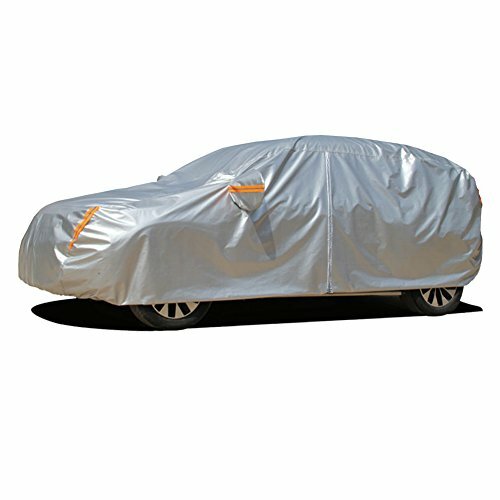 Since it caters to every car model out there, this is the most accessible car cover to get from off the shelf. 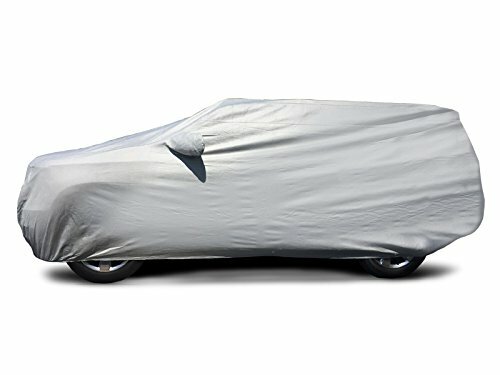 If you’re driving an SUV or a car with unique dimensions (e.g., longer/shorter hood than standard, custom-made parts, etcetera), then you’re better off with SUV covers or custom car covers. Custom car cover businesses ask for the specific measurements of your car before they make the actual cover. So there’s a higher chance that it’ll fit your car better. But since they make the covers after your order, the waiting time before you get your new cover is more extended than if you buy it ready-made. If you want to learn more about custom covers, their benefits, and how to order them, head on over to these articles – Custom Car Covers and Covercraft Car Covers. You can also buy your covers according to its main features. For example, a waterproof car cover is fantastic if you’re in an area that gets storms often. You wouldn’t need to worry about the effects of acid rain on your paint all that much. Another great type of cover is the one used for winter time. There are many types of winter cover out there since this season brings about different kinds of weather depending on your location. The best SUV car covers can provide you with a range that can help you protect your car from snow, frost, and ice. They’ve got you covered (literally!). Some winter covers also have heated features that’ll make warming up your car in the morning hassle-free. Plus, you wouldn’t need to chip away frozen water from your glass parts and paint. If you want to check out which winter car covers to get and what other benefits you can enjoy when you have one, head on over to the Car Cover For Snow article. Continuing from the freezing topic above, another thing vehicle covers can protect you from is hail. Yes, it’s worlds different from snow! Unlike snow, hail is already frozen solid when it comes down from the clouds. They are characterized as frozen pellets of water. Hail comes in many different sizes. You’ll never know if it’ll stay the size of a small marble or come as huge as baseballs or cantaloupes. To make it simple, hail is destructive. It can easily scratch the surface of your car or even dent it completely. At its worst, hail can also be deadly to you if it hits you. That’s why it’s crucial to get protection from hail. What you’ll need is an SUV car cover that’s also hail-proof! 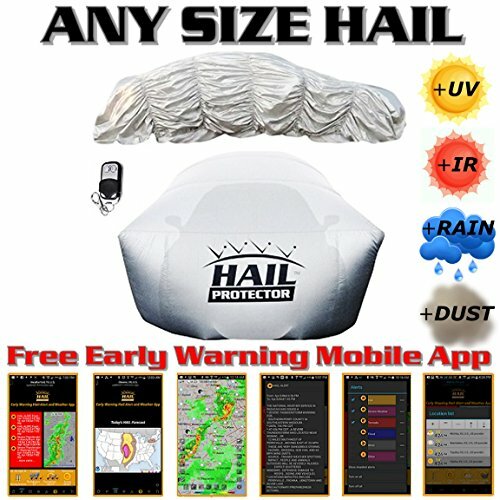 Hail car covers are a blessing, and you need to get one ASAP if you live in a hail-prone area. Some of the new ones, like the Hail Protector, actually work. If you want to learn more about hail car covers and the benefits of getting one of your own, read this article titled Hail Car Cover. Sure, a sedan or SUV car cover is essential, but the exterior isn’t the only important part of your car! 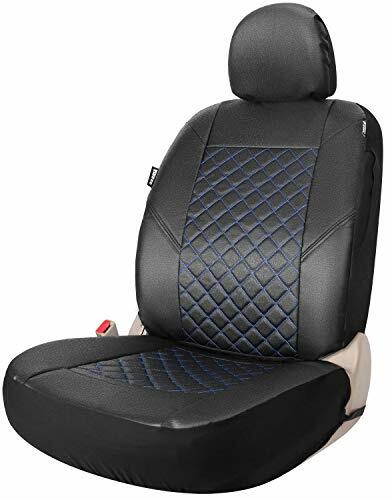 Another part of your auto that you might want to keep covered is your seats, especially if they’re made up of hard-to-wash material. It’s so easy to get seats dirty since you never know when an accident might occur. Spills and food crumbs can ruin them quite easily, and clean-up will be a lot harder. 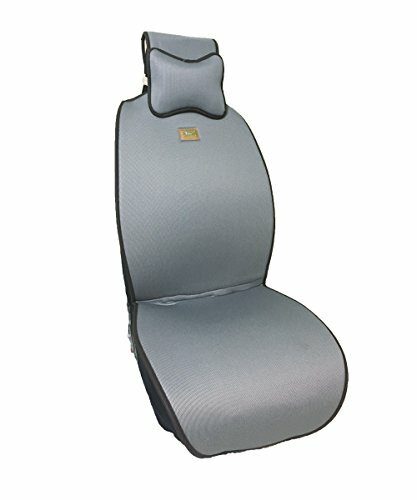 With seat cover sets, you don’t need to worry about spillage too much. You might be able to get away with just cleaning the covers and not the actual seats. 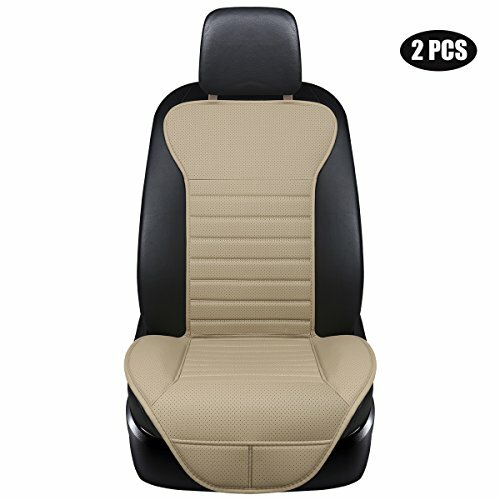 Another plus that comes with seat covers is that they can keep you comfy during the colder season. You no longer need to suffer from freezing. Heated seat covers are a lifesaver when you’re stuck in traffic. They can keep you toasty and warm while driving.